Cannabis and what we understand of it today, is at best an imprecise science! However with the data and research adding up daily it is moving into interesting realms of legitimacy never experienced before! The community of Cannabis growers and users have made the small steps throughout the Cannabis timeline of Prohibition to get it to a point where the power of the people, the undeniable case studies on children and adults with various illnesses are showing extremely positive results, in certain cases. Of course it is still without enough evidence to support all the theories, but many people are radically changing sides and seeing they were lied to as the evidence amounts. Going one step at a time has made for solid foundations in this sub culture in the past, but we are now reaching the exponential growth part of this industry. Reporters worldwide are now explaining to laymen the lies that kept Cannabis in the war on drugs. Parents who voted against legalisation of Cannabis a decade ago, thinking they were trying to protect their kids are voting for medical cannabis today, after seeing firsthand the medical benefits for their own loved ones! Doctors and nurses are recommending Cannabis where it was the lonely hippy /organic farmer previously! All this has been achieved by single steps and learning from the mistakes of the past by using science as a guide. No matter what will go on in the near future, Cannabis is a plant that can be grown well, and produced in quantity by people who never had any experience with it before! Since it was illegal and in a sub culture (and still is to some degree today), patients are becoming the authorities on extractions and their dosage and their uses. Surviving skin cancer patient Rick Simpson came up with an extraction techniques based on his personal experiences, that are used without question by many with less experience yet they are still not exact pharmaceutics! However the results are real lives saved and each word that is uttered from a saved life seems to be worth more than any material gain! 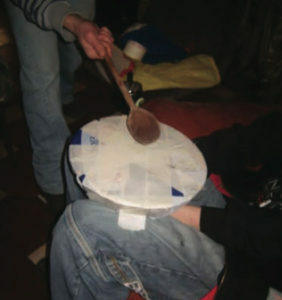 Making up Cannabis oils and extracts engages the techniques that have been developed to do these jobs over time and with the rudimentary utensils available in the areas where cannabis traditionally grew. Things have changed radically over the last 3 decades and the information that has become available manifests itself in all Social Medias and at a click of a button. Watching YouTube short demonstrations of people preparing oils, food products, edibles and extractions dry and wet, with butane and with ice, over silk screens with differing micron sizes to separate extractions into different qualities…and so forth lead all laymen into the realms of professionals. In fact patients have made people from the medical fraternity turn their heads in awe at some of the results that are becoming public knowledge. I have been making extracts in one or another form for the past 25 years. The only real limiting factor in making any sort of extract dry or wet or with solvent, is the amount of raw product you need to begin with. Normally plant material holds small amounts of the essentials and therefore you need ten times the material to extract one part of essentials (but this is a rough estimation for general purposes). 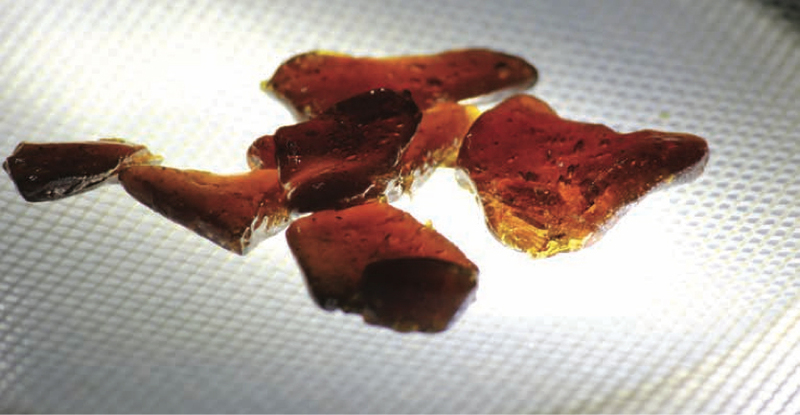 Making a basic hash (dry sieve extraction) means to merely run a small quantity of dried broken up flowers over a silk screen a few times and collecting the powdery deposits of resin glands or Trichome. Placing this powder into unlaquered cellophane and wrapping it up in newspapers that are dampened, heating it up on a fry pan and pressing it by rolling a bottle over it several times with your full weight on it produced some of the best flavoured hash i ever tasted not to mention sensational effects. The average yields range between 6-12% of the total weight depending upon the strain of cannabis being used. Therefore a kilo of dried flowers generally makes 60-120 grams of good grade dry sieved powdery extract or Hash. In powder form like this there are a mixture of terpene (the primary constitute of essential oils) and cannabinoids (active molecules on the plant that activate receptors on cells) and small amounts of plant matter making up the total contents of this powdery extract. Without analysis of it by a professional lab, it can be only speculation as to what is exactly inside. Considering all seeds vary slightly in chemo type and phenotype but not genotype if from the same generation and parent plants. Each seed plant makes slightly different end products and therefore varies in terpene or cannabinoid content. So the only way a consistent and standardized product can be made is putting all seed plants together and making an average from all the plants in the field, or by using a clone plant so the field is made of only one type of plant, not from seed. For me the only way to present a consistent and reliable product is to use a clone and keep mother and father rooms where we harvest clones. 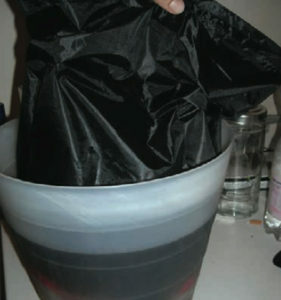 Once the plant matter has been used on the dry sieve and something like 10% is extracted in weight, I would then take it to the ice rooms where we use bubble bags (same silk screen but in bags), place all the plant matter into and submerge in 2C water inside the bags and agitate the water for 10minutes…then let it settle over 30 minutes, remove the plant matter bag and scrap off the bag with the catching screen. Place the wet resin glands into aluminium foil and allow it to dry off over a few days. This technique extracts the last resin glands on the plant matter and it can be between 2-5 % of total weight. Adding the dry and wet sieve together in varying quantities will produce a strong, well flavoured hash which is easily made without any harmful chemicals at all. With the powder of both dry and wet sieve you have a chance to make tinctures, oils and edibles without having to use the green or chlorophyll part of the plant. These powders are easier to be more accurate with when cooking as flowers can vary greatly on a single plant due to position to the sun etc…That is why I advise people to learn these two techniques so as to make concentrated powdery extracts as a first level of learning extraction as well as learning how to dose and use the extract. 1. Break up the dry raw plants into smaller pieces increasing the surface area for the solvent to dissolve all possible resin glands into the fluid. 2. Submerge the plant material in the solvent and mix around for 10 minutes or more. 3. Removed the plant/organic matter and allow it to drain off the solvent then compost it. volatile solvent. (Extreme care is necessary at this stage of the process). evaporated off, is the pure and clean form of resin that contains all active molecules contained on the plant matter. Considering this process has also purified the cannabis from all impurities and bacterial etc…Due to prolonged subjection to heat, the oil is pretty safe to use as is! 6. Dosage is probably the most important element to consider once the oily extraction is made. This needs to be incrementally adjusted from low doses initially and by trial and error so it is a difficult part of the entire process. But probably the most important to do seriously to gain the positive effects while maintaining normal life. 7. According to Rick Simpson he expects to reap 60-75 grams of this honey from a half kilo of dried flowers (which he feels is enough to do a cure). Butane extraction is slightly different as it is not a fluid under normal pressure but a gas extraction or more precisely a Supercritical Fluid Extraction. It produces excellent quality Honey or Amber oily extracts with full flavour but depending upon the quality of butane used and how well the process is done will determine the purity of the by product. According to a study made by Hazekamp and Romano, for the self medicating patient making their extract at home with various solvents, their conclusion was to use Olive Oil as the solvent. In this study a review of Naphtha, ethanol, ether, and olive oil as solvents was compared and discussed. For safety reasons, for less harmful residues left in the concentrated extract, for ease of use, for dosage and for all the purposes of a lay person making a medicine at home, it seems Olive oil extraction of cannabinoid is by far the most supported preparation technique by the professionals. Simply mixing powdered cannabis to a low heated olive oil and agitating it every 5 minutes over an hour cooking is all that is really required. Filtering out the organic material of the plant with a cheese cloth or coffee filter and using the subsequent Cannabinoid rich Olive oil extract will allow people to safely dose and incorporate it into their diet as they would Olive oil! Extractions of plants have been going on for years. The principle aim, like in distillation of essential oils, is to get as pure amount of the essential molecules out of the raw product without losing or compromising the products integrity. Cannabis has at least 85 different Cannabinoids as the active molecules unique to this plant family. Terpenes (aromas) are also present in different strengths and maybe an equally important factor in the medicinal value of Cannabis, so we cannot subject the raw products to extremely high temperatures that would kill or evaporate away the essentials if we wish to quantative and qualitatively measure them in entirety. Making an extraction allows us to reduce the bulk plants into active molecules, which is in turn easier to control and make consistent dosage out of. Making a dose to match up with a patient is the real difference between making a herbal concoction and a medicine. Science is based on measured dosages, so for Cannabis medicines to work we need to be able to test the active ingredients of the concentrate or oils we are extracting from the organic plant matter. Once we have tested our extract for cannabinoids and terpene it is possible to estimate better and begin to work out a dosage that will be sufficient for the user to apply for their condition. It is purely trial and error and I always suggest starting lower and work up to larger doses over time. The satisfaction from growing and producing your own remedy to take charge of your own life is without comparison! Everything in life is just one decision away…! If there was such a thing as Sensible Smoking!